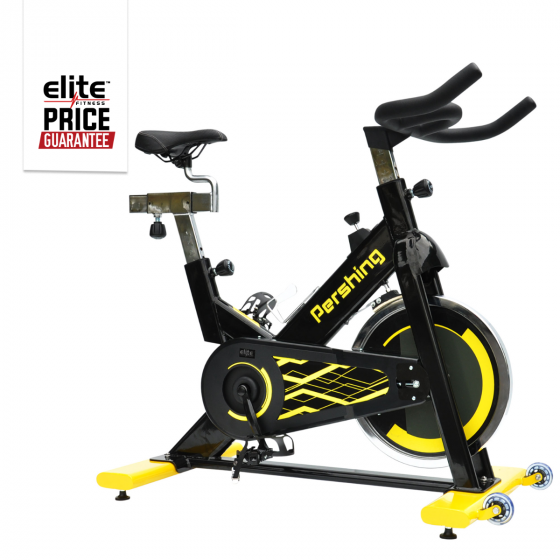 Exceed your fitness goals on the Elite Pershing Spin Bike. A stylish and sleek design, matched with a range of features will make the Pershing your favourite home cardio machine. Features include an ergonomic multi-position seat, adjustable tension control and 18kg Flywheel. A workout on the Pershing Spin Bike will help whip you into shape, burn calories and increase endurance. Padbrakingg system with infinitely adjustable breaking power.